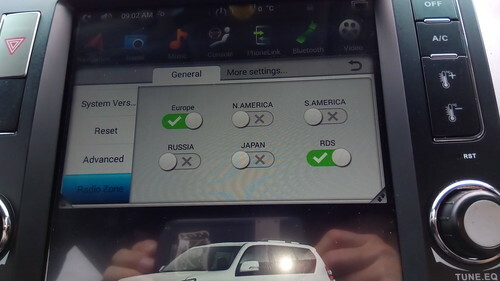 I have just got my Prado back on the road, I had a quick look in the factory settings menu and the door setting is in "can bus" then I have changed mine to "rudder right" and front door "swap" there are also settings for air con etc in there as well. The hazard switch on my unit from memory uses the same switch which only just reaches as it changes sides fro right to left but I am pretty sure they supplied a different button which fits onto the original switch. As soon as i get time I will take some pictures if it is any help, I think the old ones I posted are no longer on this updated forum. I forgot to say about the am/fm radio which works fine, again from memory which isn't very good I seem to remember there were two aerial plugs but only one socket? cant remember how I got over it but it wasn't an issue. I haven't tried to access the CANBUS options yet. Hopefully, it's one of the passwords they gave me. The USB stick works via a seven port USB hub. I'm surprised it works. Do have a play around in the factory settings menu, the password for my unit is 126 which I think is common to the units that the Chinese have cloned the firmware from! Have you sorted out your maps and the various other things that these heads units are capable of? 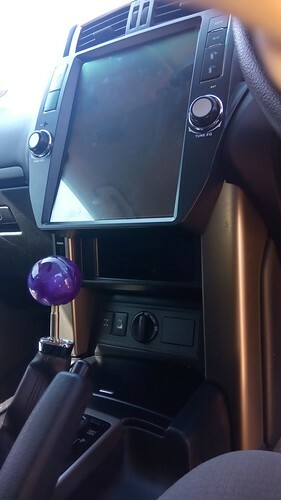 I attach a couple of screenshots, which may make owners of the standard head unit with two year old maps wonder if they should do something about it. Does it allow split screen on the navigation as I want to display camera input and nav at the same time? Can you please post a side view and front view of the completed install thanks? I'm at Fraser Island right now. I'll respond when I get back on Monday. Cheers. Google maps wants all the screen. Maybe there's an app that can give better screen control? There is an icon that can shift a split screen situation i.e. from top of the screen to the bottom of the screen, but nothing to shrink a full-size view (that I've found, so far). Is that a Spanish version of Aliexpress? I'm guessing you'd want rear view + nav when towing? I'd like that too. 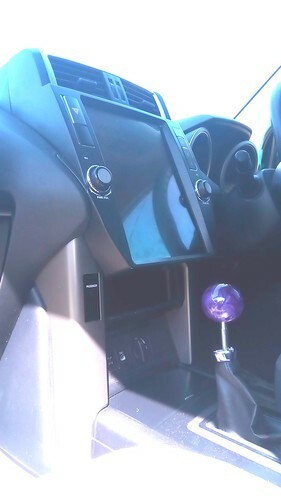 I'll have to wait and see after I install the rear view camera. Also, there's a couple of antennae sockets in the omni-loom apart from the socket in the unit. I'm wondering why. Just wondering if you sorted out your A/C. Just installed mine and everything works bar the A/C. Not sure if its a setting or if I have it plugged into the wrong point. What was I thinking? Mine is the GX model as well. If I recall correctly, the plug for controlling the A/C goes to a socket at the rear of the Tesla screen unit (not the orange canbus unit).